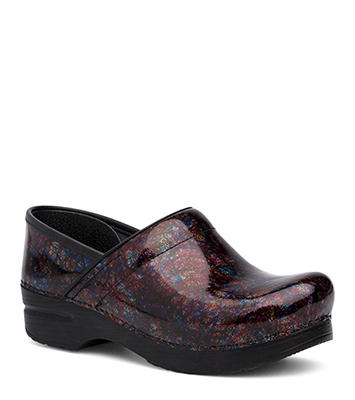 The Dansko Multi Scribble Patent from the Professional collection. Patent leather is a dress leather with a polycoat finish. 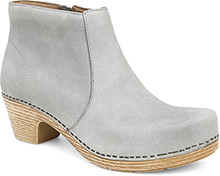 This finish gives the leather its high shine.